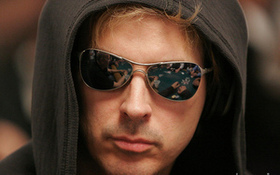 It’s been a long time coming for the Unabomber, but after his dominating performance in the opening event of the 2010 World Series of Poker Europe tournament Phil Laak can finally cross his name off the list of ‘Best Poker Player without a WSOP Bracelet’. After Gavin Smith finally broke-through and won a WSOP tournament earlier this year, a lot of poker fans put Laak at the top of the dubious list, but now they will have to go looking for another contender. Laak came into the final table in third chip position trailing chip-leader Andrew Pantling and poker pro Chris Bjorin, and it was those three players who would finish 1st, 2nd, and 3rd. The first to exit was Chris Bjorin who ran his pocket Queens into Laak’s pocket Kings. Laak and Pantling battled it out in a heads-up duel that saw the lead change numerous times, and both players having multiple opportunities to finish the other off only to see the battle continue. This entry was posted on Friday, September 17th, 2010 at 6:29 pm and is filed under Poker News. You can follow any responses to this entry through the RSS 2.0 feed. You can leave a response, or trackback from your own site.